I’m now about nine inches away from where I want to be with this baby blanket. 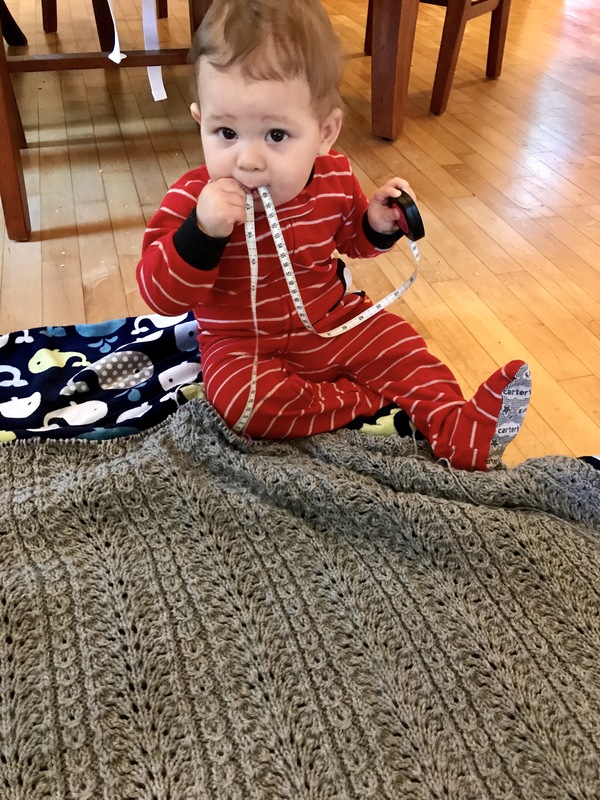 I’m using the 37″ length of my son’s blanket to estimate final measurements. 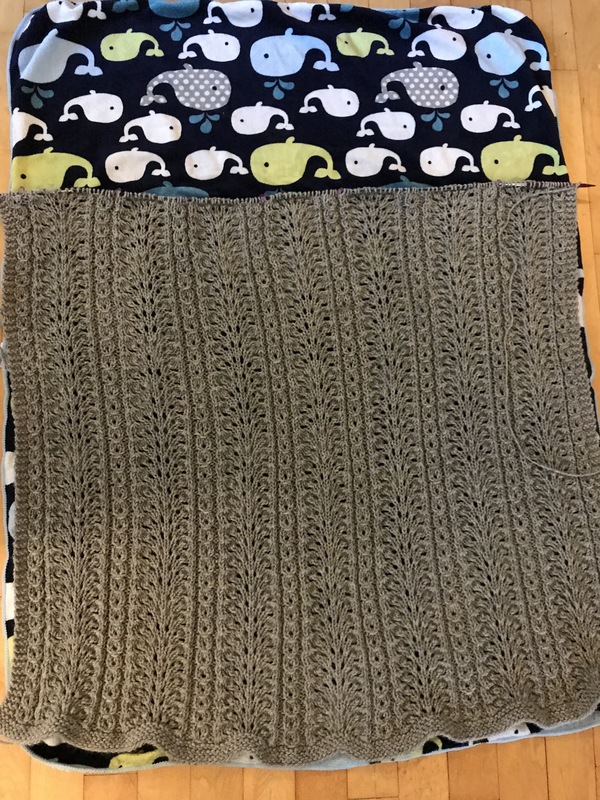 I’ve now memorized the four row pattern repeat and go back to this project any time I just want something relaxing and mindless to knit. Though I am still a couple months from the baby’s due date, it would be nice to have this as a completed project!